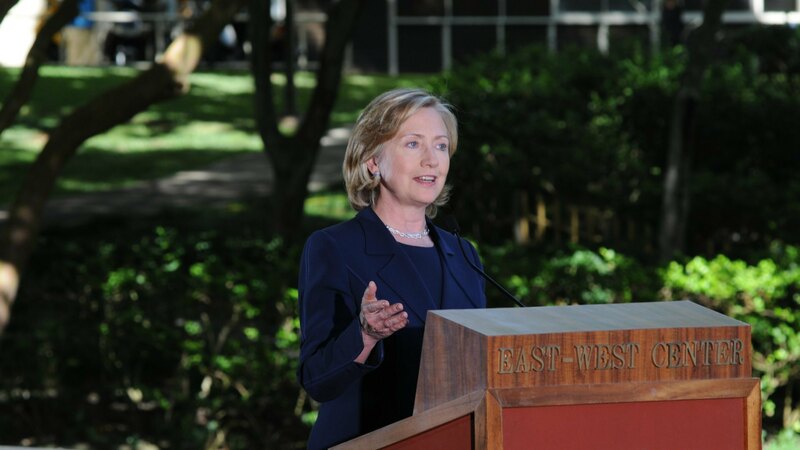 Hillary Clinton officially announced her bid for the 2016 presidential election today, and I am stoked. In an email from her campaign chairman, John Podesta, Clinton made it official. To kick off her announcement, here is a highly anticipated video that features a group of everyday Americans in various stages of their lives talking about how their lives are expected to change in the future: a woman whose daughter is going to start kindergarten and is moving so her daughter can go to a better school, another woman going back to work after years raising kids, a couple having a child, a young girl applying for jobs, a gay couple planning to marry, an adorable little boy excited about playing a fish in a school production, a woman preparing for retirement, and more. In the end, Clinton appears and says, “I’m getting ready to do something, too. I’m running for president. Americans have fought their way back from tough economic times, but the deck is still stacked in favor of those at the top. Everyday Americans need a champion, and I want to be that champion. So you can do more than just get by, you can get ahead… and stay ahead. Because when families are strong, America is strong.” Watch the full video below. She closes by announcing she’s hitting the road to meet the voters. The video shows Clinton as a champion for the people, and while many of us know she always has been, this was one of Clinton’s issues in her race against Barack Obama — she just didn’t come across as a people’s president. Comments were made on CNN leading up to the announcement that many of the journalists on the panel knew Clinton to be a warm, caring person when they spoke one-on-one off camera. It will be interesting to see if Clinton can correct the public’s perception of her this go-round. Democrats and even some Republicans are excited about this news, and I don’t blame them. It’s about time we had a female president, and given all the attacks on women’s equality, we’re going to need one in the coming years more than we ever have. But it’s not just about girl power. We also need a competent president. I know there are those who’d say a woman can’t win, that a woman VP candidate was McCain’s downfall, but anyone whose VP was Alaska McCrazy was going to have some issues, gender aside. But Hillary Clinton is another thing altogether. It remains to be seen who’ll run against her in the Democratic primary, but I still think she’d make one hell of a president. She advocated heavily for the creation of the State Children’s Health Insurance Program, promoted nationwide immunization programs for children, played a leading role in creating the Adoption and Safe Families Act and the Foster Care Independence Act and created the Office on Violence Against Women in the Department of Justice. All this before being elected to her second senatorial term. As secretary of state, Clinton was tasked with repairing the United States’ damaged global reputation, and she visited 112 countries to do so. She championed increasing the U.S. diplomatic presence, even in Iraq, and released the Global Hunger and Food Security program. She also saved the signing of a Turkish-Armenian accord. But she understands that there’s not always a diplomatic solution. She urged VP Biden to send an additional 21,000 troops to Afghanistan and, as a senator, voted to move into Iraq. Patti Solis Doyle, one of Clinton’s core group of advisors, coined the term “Hillaryland” to refer to the close-knit group Clinton surrounded herself with. It was also used to refer to their area of the West Wing. Most members of the group are women, and the only man, Neel Lattimore, is gay. The area had its own subculture based on camaraderie, and Hillaryland has a reputation for never leaking information to the press. Hillary Clinton pays more than lip service to feminism. She’s long been a pro-choice advocate, but she’s also in favor of expanding the Family and Medical Leave Act, guaranteeing paid sick leave, ensuring workplace flexibility, passing equal pay laws (she cosponsored the Paycheck Fairness Act) and outlawing workplace discrimination against parents. She’s also a fan of universal pre-K and high-quality child care, reproductive and other health care services for women both in the U.S. and around the world, fighting AIDS and expanding women’s opportunities as a tool for global economic development. Prior to Hillary Clinton, the idea of the first lady was an old, dowdy, motherly woman (or a young, fashionable, motherly woman). Clinton was the first first lady to hold a postgraduate degree and was very involved in the drafting of law. Her strength, intelligence and perseverance have set a new bar for the role of the first lady and changed our attitude toward female politicians. What do Hillary Clinton and Kim Kardashian have in common?